The power and discretion of a great actress in a supporting role... Soffio is a lamp with considerable dimensions yet discreet aesthetics. 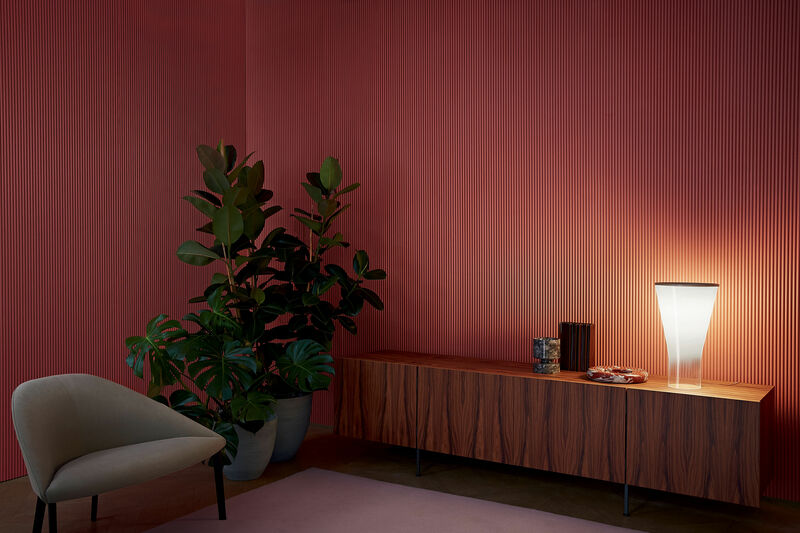 Its warm, intense light illuminates a coffee table, console table or sideboard, thus helping define a calm and refined space. 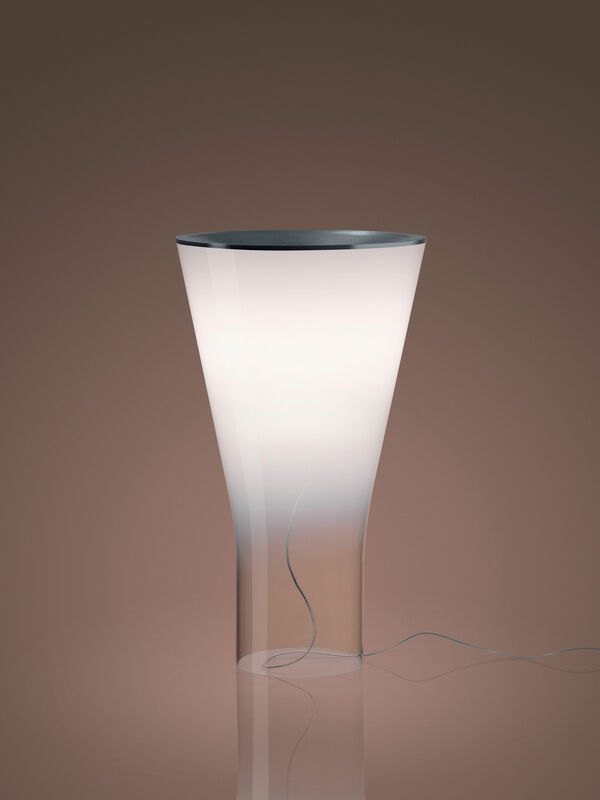 The graded effect of the diffuser is a masterpiece of craftsmanship in the purest tradition of Venetian blown glass. 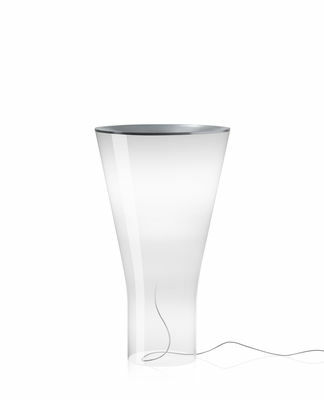 Each piece is unique, with just the right combination of white and transparency depending on the skill of the master glassmaker. The white part of the diffuser is filled with intense light and produces low, confined lighting, defining a particular space and atmosphere. The transparent glass serves as a base for the top, as if it came out of the ground to lift the cone skywards in a fluctuating movement. 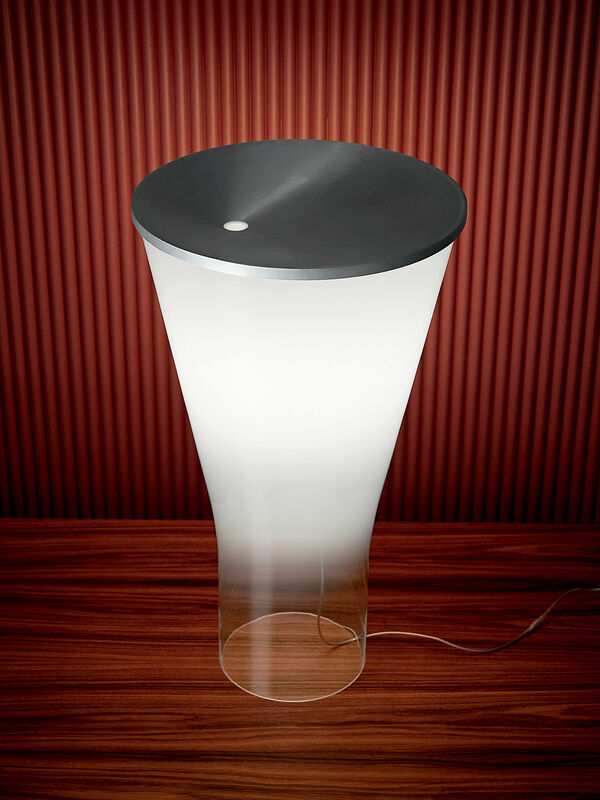 Despite its large volume, the lamp also stands out for its lightness. 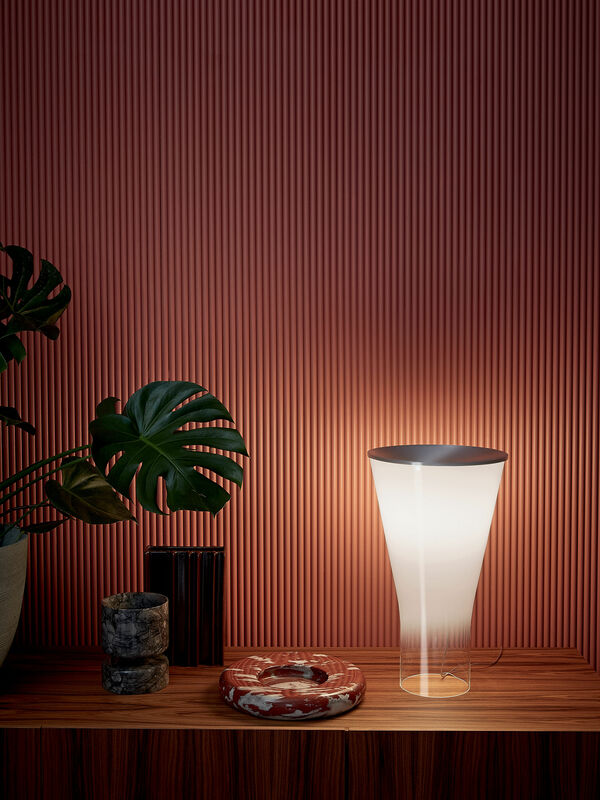 Craftsmanship and technology: Soffio glass forms the setting that contains the LED light source, located in the upper part of the lamp. The aluminium top disk serves as a touch diffuser.